Terms and conditions of business are arguably one of the most important documents you will use. They are designed to protect you and your business and ensure you operate on your terms. Whilst you can draft your own terms and conditions of business, if you find yourself in a position where you need to enforce your terms in a court of law, you will find it extremely difficult if not impossible to do so. A customer has signed your terms and conditions and agreed to pay you within 30 days of invoice for your services. The customer pays promptly the first 8 months then begins to miss payments. You continue to work with the customer as they are “high-value” but after more missed payments, you are finding it increasingly difficult to pay your own bills so decide to take the customer to court as they have breached your agreement. The litigation case will centre on the detail contained within your terms and conditions and will be relying on your clauses and terms to win and demonstrate the customer has an obligation to pay. 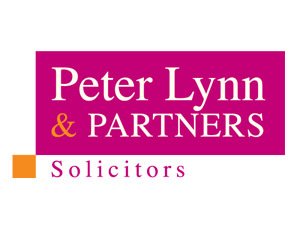 Should your terms be incorrectly drafted, the litigation solicitor representing your customer may be able to demonstrate that the terms are not legally binding and that the customer is under no obligation to pay in line with your terms if at all which could potentially devastate your business. In summary, whilst drafting your own terms is possible, it is certainly not advisable. Always use a specialist commercial lawyer and never alter a lawyers draft or ‘dabble’ in drafting your own terms as ultimately, you may have nothing to protect you when you need it most.